There is something almost prophetic in the fact that his turbulent, angst-filled life began on such a night; things were never going to be normal for John Lennon. And that life, although tragically short, begat a lifetime of music that continues to inspire and influence people the world over with its message of love, hope and the belief in human unity. John, always ebulliently self-effacing, would be quick to slag off a comment like that, and for good reason. Our culture martyrs and projects and idealizes public figures often to the point of breaking them in half–only to turn right around and punish them for their imperfections. True to form, in penitence for our actions we deify them when they’re no longer with us. This was certainly the case with John. But even though he’s been gone for over 30 years now, at least we have his musical legacy to hold on to and to hand down. A legacy that began 72 years ago today. And so here, in no particular order, are 12 of my favorite John Lennon compositions. 12 because 10 is simply impossible, and it’s a Sophie’s Choice to really leave out *anything* from a list like this. But the operative word here is “favorite”, so don’t lash into me for neglecting certain obvious masterpieces (Just because Norwegian Wood and Imagine aren’t here doesn’t mean I don’t adore them!) These are the songs you’ll find at the top of my iTunes most-played list. Why: It’s an honest, soul-bearing plea for forgiveness. All of us have been guilty of being ‘jealous guys’ in one way or another. 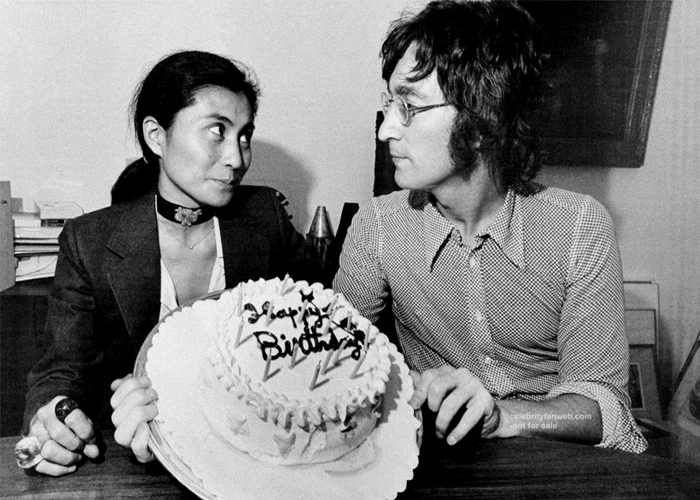 Why: An early example of Lennon’s desire to dig deeper than the packaged “Beatles” image. Highly Dylanesque, definitively Lennon. Why: Quite possibly the most perfect song ever written; at the very least, one of the saddest. Why: It’s a fun, early rocker with Lennon squarely as the leader of his band. It’s also wonderfully subversive: the call to “please please me” is innocent under the Fab Four image, but … we all know what he’s really talking about. Why: Probably the Beatles’ best B-Side, it a trippy, looping experiment of a song, and opens the possibilities for Lennon’s challenging Tomorrow Never Knows. Why: Come on, like this song really needs a reason. Why: The redemptive power of love is hauntingly, and of course, beautifully, captured. Why: Because even after hundreds of listens, it still startles me with its dark, mystic winsomeness. Any Lennon’s lyrics are at their trippy best. Why: Quite possibly my favorite song of all time, I have very warm memories of lying on my bed, rewinding this song on my cassette player over. And over. And over. I love every blessed second of it. Why: I know it’s repetitive, and not Lennon’s best on the Abbey Road album, (that crown rests with “Come Together”) but I’m sorry, this song is s-e-x-y. Terrific list, I love all these.